Why is Europe’s most expensive fuel all in the Northwest and Southeast? Geographic spread of Europe’s most expensive fuel undeniable. European fuel is noticeably at its most expensive in clusters around the Northwest and the South East of the Continent. The UK, Norway, Denmark and the Netherlands occupy the top spots for petrol while Italy is in fifth place. The top ten is rounded out by Turkey, Malta and Iceland. Similarly, diesel sees the UK still in its now-traditional top spot followed by Norway, Iceland, Malta, Italy, Denmark, Albania and the Netherlands. To really rub the point home, Israel – on the southern shore of the eastern Mediterranean – has the third most expensive diesel in ‘Europe’, and the sixth most expensive unleaded95. Meanwhile, Greece is not cheap either. Currently it has the eleventh most expensive unleaded95 though – in 26th place – diesel is relatively much cheaper. 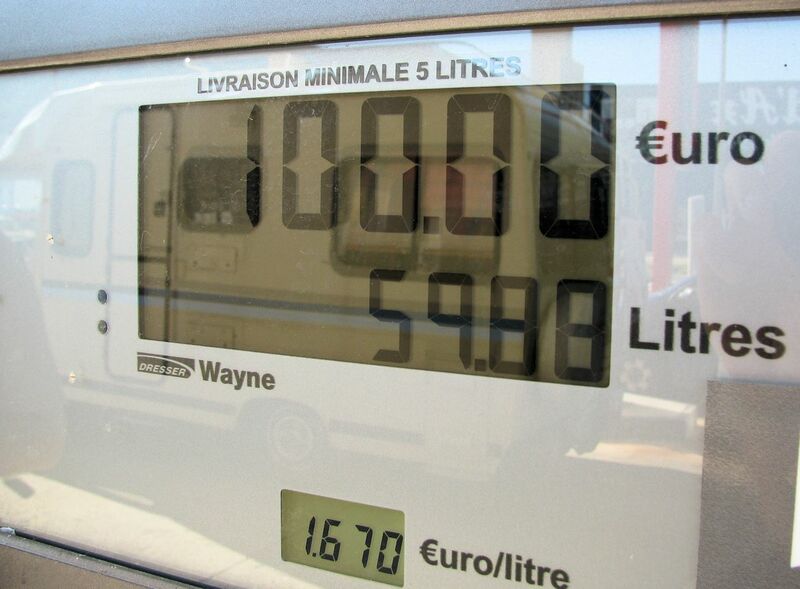 We filled up in Thessaloniki for less than €50 in summer 2013. The same tankful would cost €70 today. Fuel has always been expensive in Turkey. With no domestic supply it is all imported. This is why the country is vulnerable to Vladimir Putin’s accusation of black market dealings with ISIS oil. In general however, it is not that countries in northwest and southwest Europe have hiked taxes on fuel particularly but that prices have failed to fall as much as they have done elsewhere. Last year, there was hardly any difference between the Netherlands and Belgium. Since then prices have fallen dramatically in Belgium – though not as much as in France, see above – but much slower in the Netherlands. Perhaps it’s a variation on Professor Chris McManus’ theory on why countries drive on the right or left hand side of the road. It’s a choice most heavily influenced – he says – on what the majority of the neighbours do. All rankings taken from Fuel Prices Europe on 30 November. Also see The Cheapest Fuel in Europe. 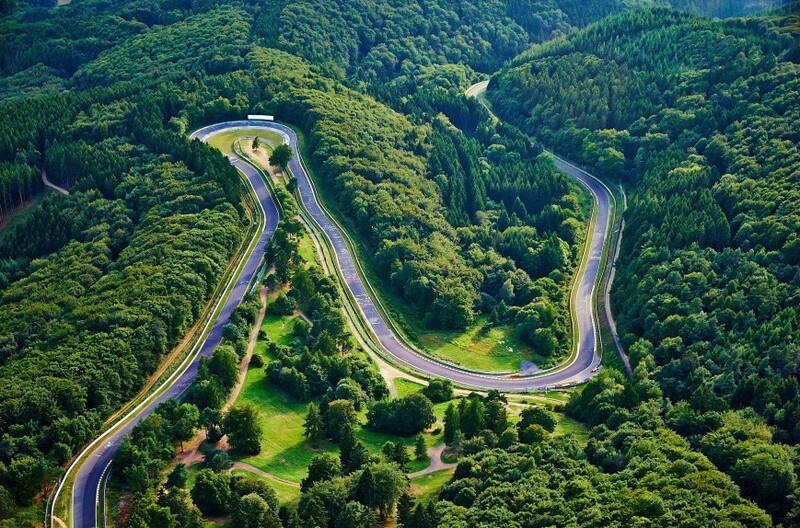 The official Nurburgring 2016 calendar is now on sale. In extra large A2 format it costs €24.95 + P&P from the Nurburgring-Shop.de. roundup: CROSSING THE CHANNEL. Incredibly – considering he earned an estimated £5 million from his victorious fight with Wladimir Klitschko on Saturday night – newly crowned World Heavyweight Champion boxer Tyson Fury made his way home from Dusseldorf by car, and P&O ferry. The boxer was pictured on-board the Zeebrugge-Hull ferry on Sunday, and also posted a characteristic sing-a-long session from the car on the way home. Meanwhile, The Guardian published a commendably balanced piece on the highly controversial video posted by a Hungarian truck driver from Calais. Watched by more than 2 million people so far, the video shows the driver swerving at migrants standing beside the road during the first day of last week’s trouble on the port approach road. While hardly congratulatory, the paper does at least include an apology from the driver. A later piece from the same writer ‘Lorry drivers warn of escalating violence with refugees in Calais‘ highlights the threats faced by professional drivers who use the port on a regular basis. RUSSIA. ‘Has Putin Met His Match With Russia’s Truck Drivers?’ asks Forbes today. It’s a good question. Hauliers upset with the new ‘Platon’ GPS-road toll system have been protesting for weeks and headed for Moscow this morning to stage a blockade. Police managed to disrupt the columns so the protest has been postponed until Friday 4 December says Meduza.io. Driver groups have a tradition of resistance in Eastern Europe. Russia’s ‘Society of Blue Helmets’ – mimicking the emergency lights used by self-important officials to speed around the capital – even dared to stand up to Chechen hardman Ramzan Kadyrov. Ukraine’s recent revolution had its roots in a group called Road Control, protesting police corruption. The only major demo in Belarus in recent years was by a group of drivers upset with a new road tax in December 2013. Putin has so far been reportedly quite dismissive of the truck protest. He should be careful.